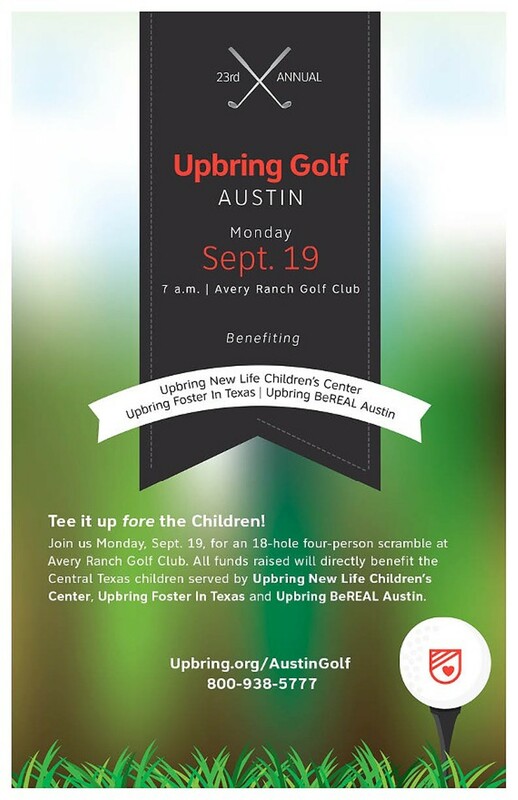 Are you and your friends ready to “tee up” for the children served through Upbring New Life Children’s Center, Upbring Foster In Texas and Upbring BeREAL San Antonio and have a “hole” lot of fun at the same time? Schedule of Events 8:00 a.m. Registration/Breakfast/Driving Range 9:00 a.m. Shotgun Start | 4-person scramble 1 p.m. Lunch and Awards Upbring is a non-profit with a rich legacy of helping children, families and communities break the cycle of child abuse.